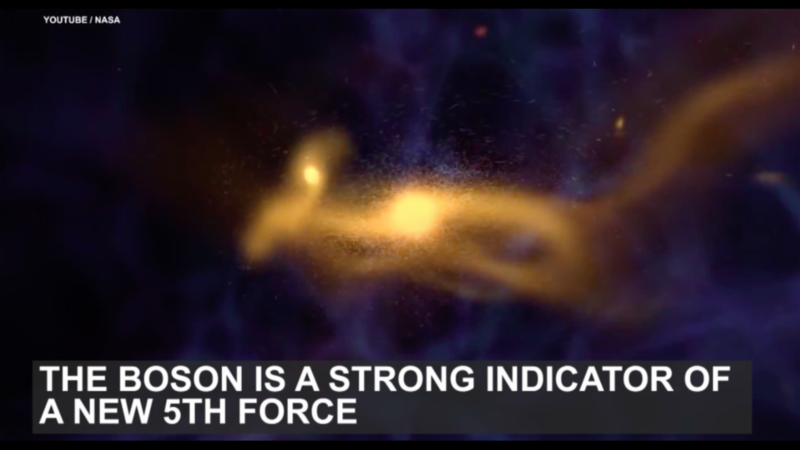 Scientists think they have found a fifth force of nature. No, Star Wars fans, not that force. Researchers at University of California, Irvine have found theoretical evidence that supports the existence of a fifth force of nature. The four we already know exist include: gravity, electromagnetism and strong and weak nuclear forces. The California researchers built their discovery based on experiments done by experimental nuclear physicists in Hungary. They were testing for dark matter, which makes up 85 percent of the universe but is hard to detect because it doesn't absorb or transmit light. The boson is a strong indicator of a new fifth force. Researchers say the results are preliminary and further tests need to be done. "If confirmed by further experiments, this discovery of a possible fifth force would completely change our understanding of the universe," said Jonathan Feng, one of the lead researchers behind the discovery. Our belly buttons contain a "rainforest of bacteria"